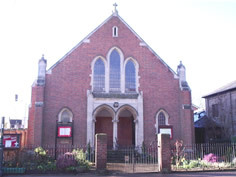 We are a welcoming Church of around 60 members and more friends set in the High Street of Watton. We hope to serve the local community and provide a Christian Witness along with the other churches in the town. Address of Church: High Street, Watton, Norfolk. Times of Services: Sunday at 10:30am and 6:30pm every week. New Contemporary Style Worship – Sunday afternoons, approximately every 8 weeks, being held in the Watton Christian Community Centre next to the Church. Andy Hyde and the Worship Team welcome you to this relaxed and friendly service. Something new and different every time – everyone welcome. Tea and coffee follow. For a list of dates and other information please contact Andy via the church office on 01953 885923 or by e mail at wmcadmin@hotmail.co.uk. There is also a children’s activity corner. Meditation – A Christian Prayer and Meditation group meeting in the church vestry usually on the first and third Monday each month between 7.45 and 8.45 p.m. The group wishes to encourage those who feel that traditional worship may not be for them and who would like to explore the gentle but powerful way of prayer by means of Meditation. We are a friendly and supportive group who welcome new members. Our meetings end with tea, coffee and a chat. Tuesday Afternoon Fellowship – Meeting for ladies. Meets first and third Tuesday between September and May at 2.30 p.m. They have a diverse programme and some special events during the summer months. Coffee Morning Weekly on Wednesdays in the Watton Christian Community Centre. Popular and friendly (open on Market Day). All shoppers welcome. Shoppers Service – Held at 10.30 a.m. on Wednesdays in the large vestry of the Church. All welcome. Church Choir – We meet in the Church vestry on 2nd and 4th Wednesdays monthly at 7.30 p.m. New members are warmly welcomed. Church open for prayer 10am – noon. There are three of these at present. 1 daytime group and 2 evening groups. Please contact the Minister for details. These are friendly discussion groups. come and join us. In addition to these regular meetings and groups we have occasional concerts, quiz nights and a Flower Festival, and many other events. We look forward to meeting all new folk, individuals, couples or families, do come and join us!